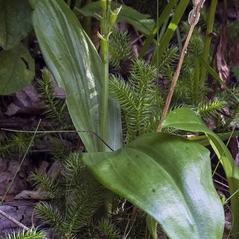 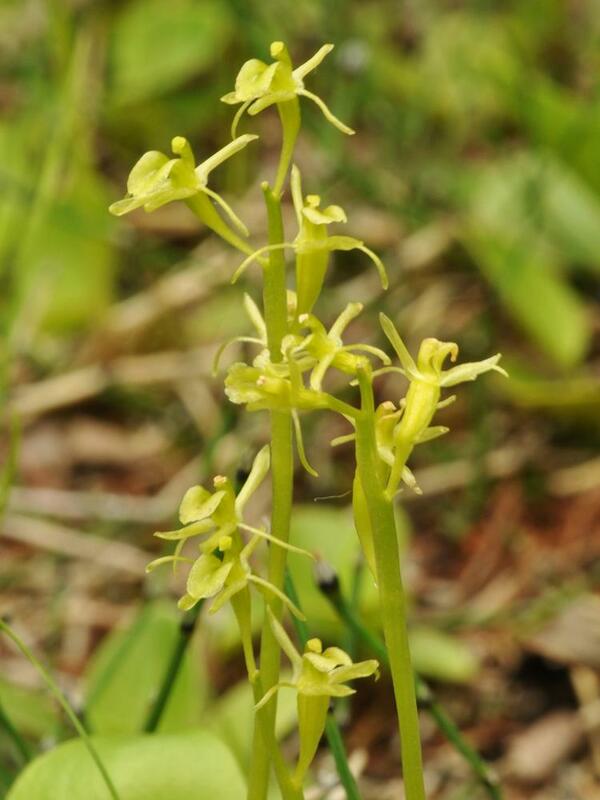 Liparis loeselii, or Loesel's Wide Lipped Orchid, has a wide, somewhat scattered distribution across Canada and the northeastern to central U.S., from the Northwest Territories to Alabama. 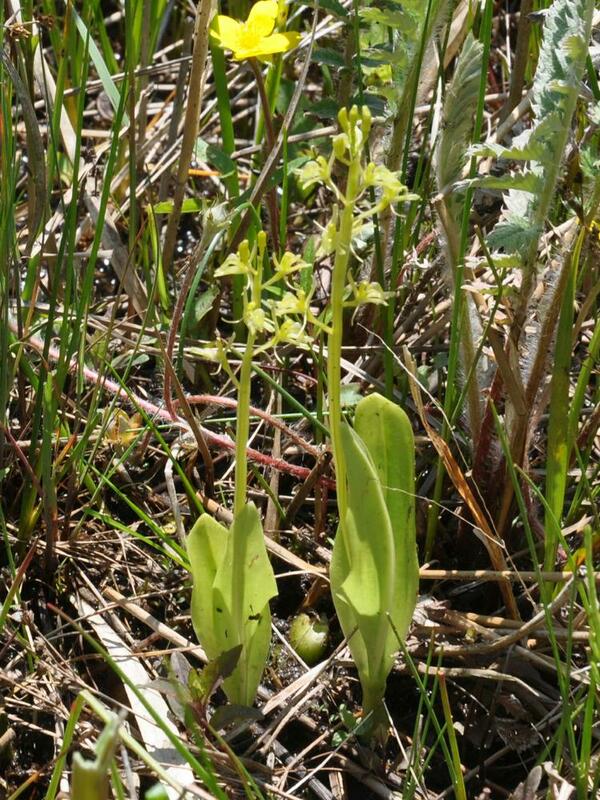 It produces two dark green, often glossy basal leaves which appear in the spring; later in the summer, it produces up to 18 small, yellowish green flowers. 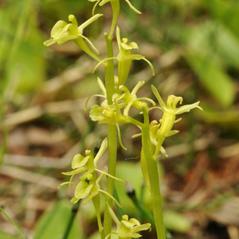 The flowers have a wide, occasionally translucent labellum; by contrast, the sepals are narrow and the petals are tubular. 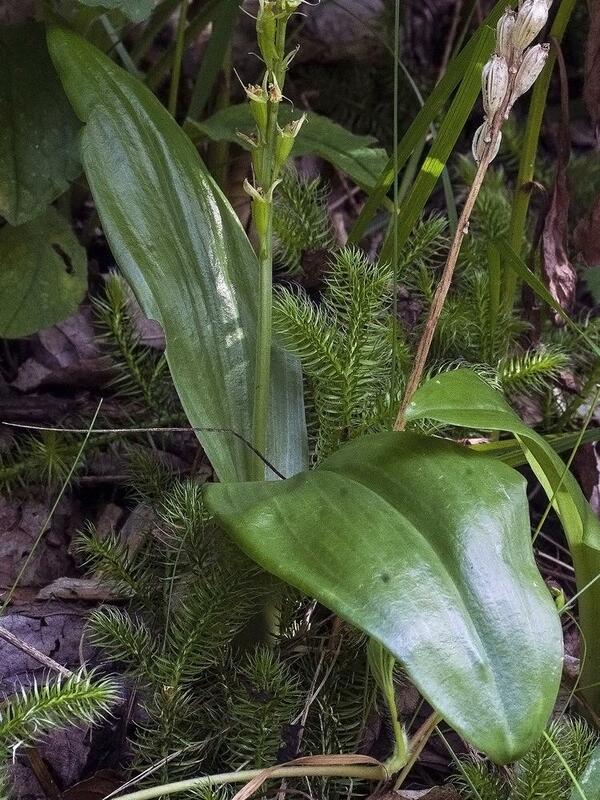 It has a partially exposed pseudobulb at the base of its stem, which stores water. 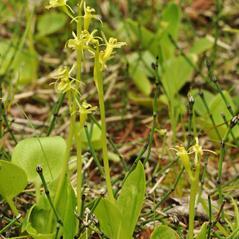 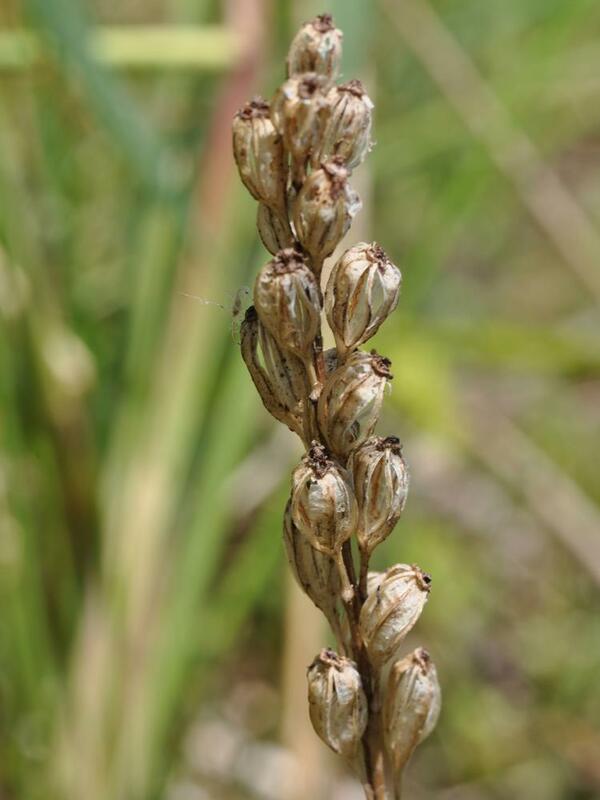 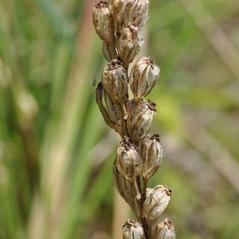 It is found in moist meadows, fens, and bogs, as well as shorelines and disturbed areas. 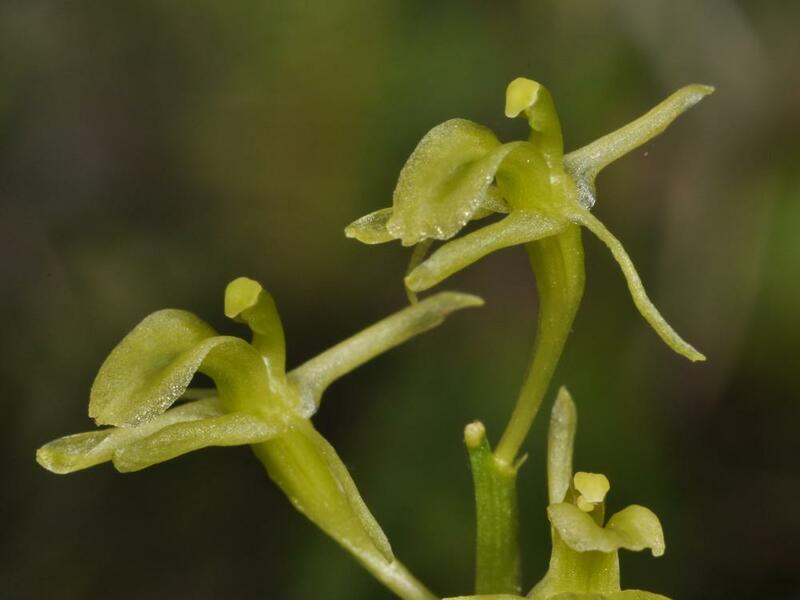 Liparis loeselii is globally considered secure, but is rare throughout much of its range, especially in the west. 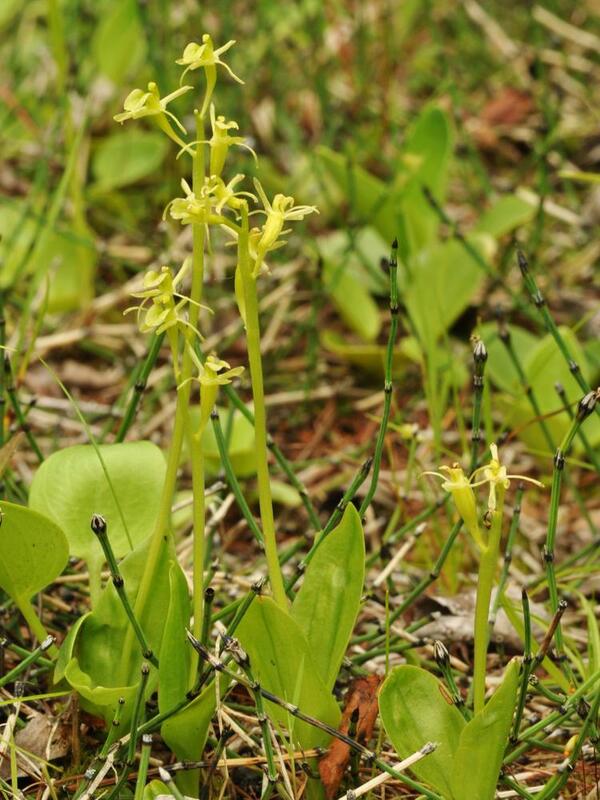 Hydrology may be the most important factor in limiting growth and reproduction in this species. 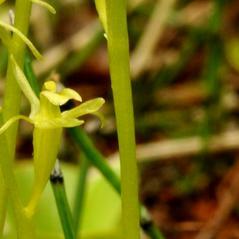 Due to its small size and inconspicuous flowers, its true population and range may be under reported. 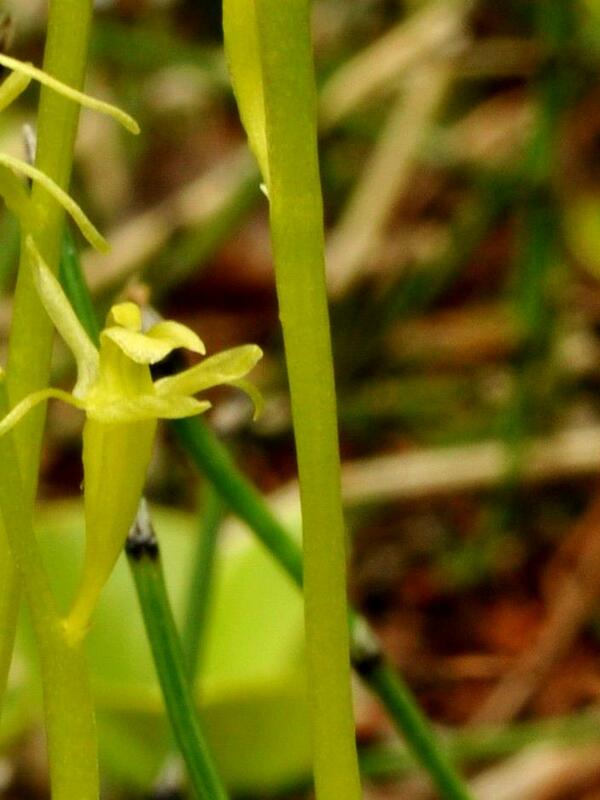 This orchid is autogamous. 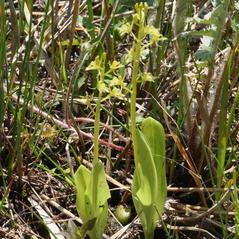 As the flower ages the anther cap browns and raises up against the column, releasing the pollen mass. 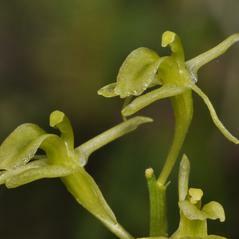 Pollinia are then held to the stigma via a sticky material or, if water is present, by water droplets.